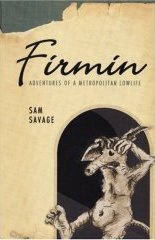 It's taken me quite some time to get around to reading Firmin by Sam Savage published by Coffee House Press, but strong reviews around the blog world and the fact it was the Litblog Co-op chosen read last Autumn are enough of an endorsement for me to investigate. What probably finally prompted me was news from The Gamekeeper (son of dgr) that we can expect a plague of rats this spring after such a mild winter and his new sideline of poison-free and humane vermin control by old fashioned tried and trusted cage-trapping methods is already in demand. Rats in the wild just prey on the worst primeval fears in most if us I think. We get very nervous about them (correction, I verge on hysterical ) with all the associations of plague and disease, not least here in the countryside where they can take up residence with very little encouragement.Having your own exterminator around is handy; word has spread around the local vermin community and any rat that sets foot here now is both brave and foolish. So I was pleasantly surprised to find that Firmin is a rat with a difference. It all sounds ridiculous but it's definitely not. I've no plans to pursue a rodent readathon on here but Andrew Friedman has written a a great piece on rodents and fiction for The Believer magazine citing various authors who've used the theme, amongst them, Art Spiegelman, Haruki Murakami and now of course Sam Savage. Anyone who read Mr Thundermug by Cornelius Medvei last year will recall how effective the genre of life through the all-seeing eyes of an animal can be. This book is redemption for the rat as reviled species, (unless you keep them as pets I suppose) a rat's eye view of US city life and the world between the pages of a good book in the 1960's which is both entertaining and poignant. So poignant in fact that I've had to have lengthy and protracted discussions with The Gamekeeper and puppy dog Sticks about what constitutes humane.We've hammered out a settlement and I think I've negotiated better terms for the rats. 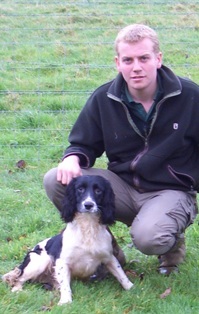 Once he's caught the little Firmins The Gamekeeper will read them poetry just to lift their spirits and then Sticks will howl sing to them which will certainly ensure they meet a welcome, quick but ultimately happy end.